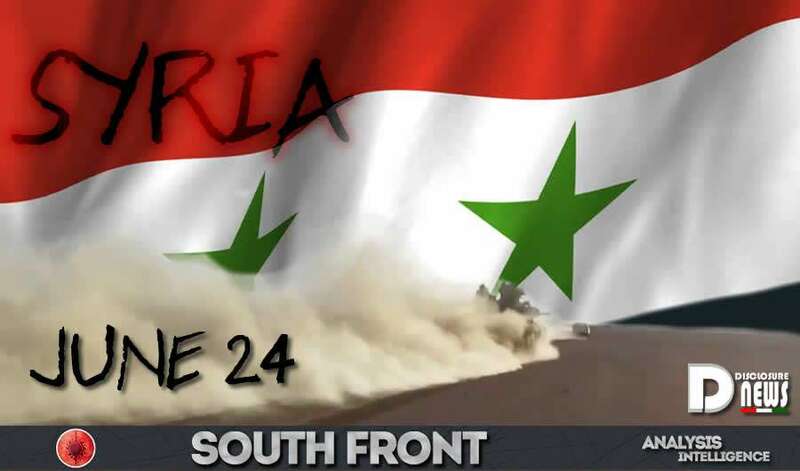 Syria Update June 24. From South Front. On June 23, Syrian government forces liberated the Arak gas station northeast of the Arak gas field in the province of Homs. The area had been controlled by ISIS terrorists. With this advance, pro-government fighters further advanced along the strategic road linking up the cities of Palmyra and Deir Ezzor. 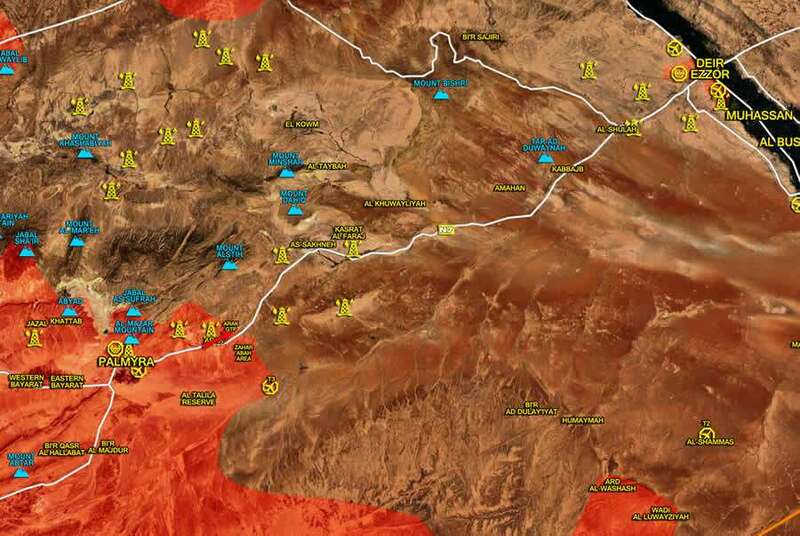 On June 24, the army and its allies continued advancing in the area aiming to retake gas fields south of the town of Sakhneh (Sukhnah) and the mount of Alstih. 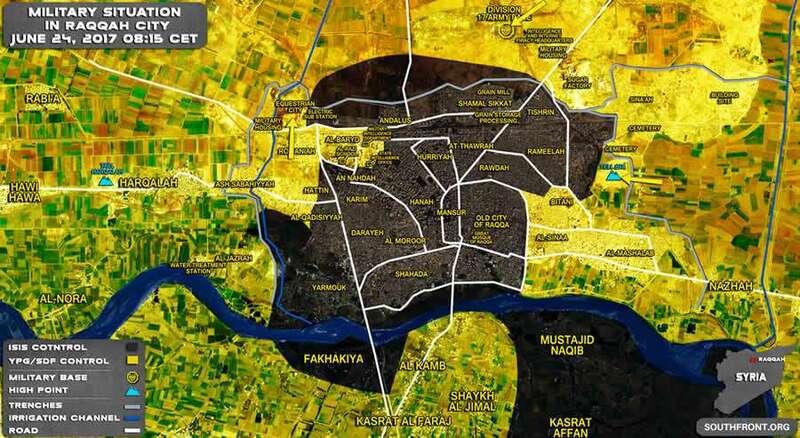 The so-called Syrian Democratic Forces (SDF), backed up by the US-led coalition’s warplanes, artillery units and military advisers, have regained the southern part of the 17th Division Base and Tell Bia from ISIS terrorists inside the city of Raqqah. At the same time, SDF units have attempted to advance on Mustajid Naqib and Kasrat Affan south of the ISIS-held city but failed to achieve notable gains. On Saturday, the US-backed Syrian Democratic Forces (SDF) captured the village of Mustajid Naqib and fully encircled the ISIS-held city of Raqqah. 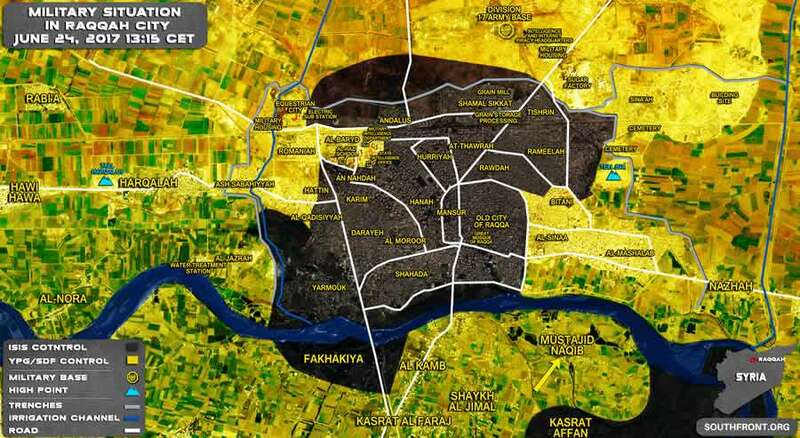 As a result of this development, ISIS units inside Raqqah lost an opportunity to leave the besieged city.